You have noticed for a while now that the trees on your property look like they are in need of some care. Perhaps it looks as if the limbs on the trees have grown quite a bit and some may even be in a dangerous position that is close to your home or your power lines. You may even have some smaller trees that are starting to look a little shabby and could use proper care. While some homeowners may try to tackle both large and small jobs all on their own, we at Your Way Tree Service Inc. always recommend that you seek the help of a professional service like ours to make sure that the job gets done safely and correctly. You may wonder just what factors into the costs that we have for our tree trimming in Sherman Oaks, and there are several factors that play into the decision. Naturally, the size of the trees that need service plays an important role in what the cost may be for trimming services. Trees that are very large, such as those that may be twenty-five, thirty or even 40 feet tall or more will cost significantly more to trim than the small trees on your property that are within easy reach. Large trees require certain specialized equipment that we must bring on-site so that the trimming can be performed safely for both you and our crew. Larger trees may also be more difficult to access, and this can also play a role in the cost. 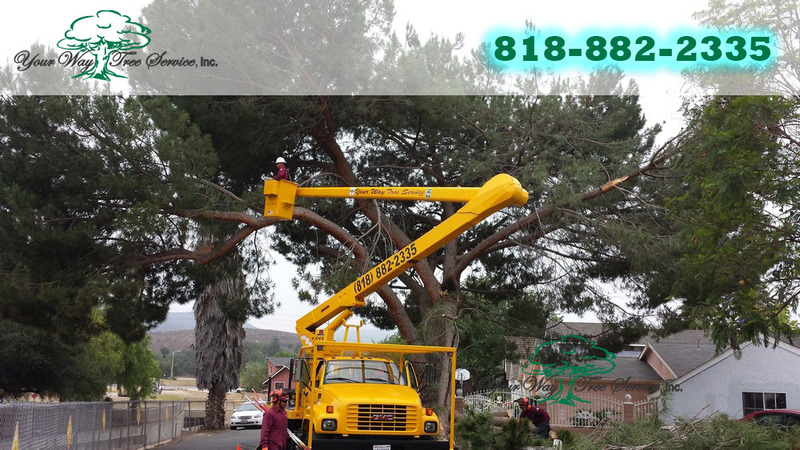 When you hire us for tree trimming in Sherman Oaks, there are also other expenses that you may want to consider that can be involved in the service. Beyond the cost of the trimming itself, you may want limbs or trees removed. There may also be costs involved if you need to have stumps ground or you wish to have the parts removed from the tree chipped or ground. This action requires special equipment on site and will naturally mean an extra cost. 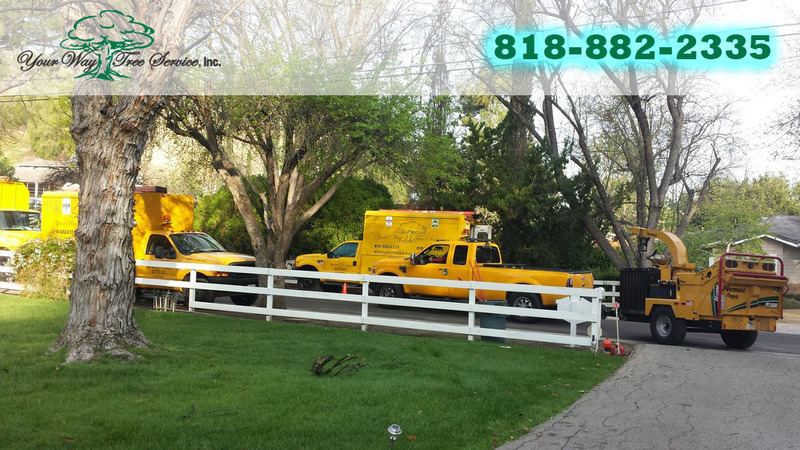 If you are interested in having tree trimming in Sherman Oaks performed by our company, please feel free to call us at Your Way Tree Service Inc. at 818-882-2335. We can arrange an appointment for one of our expert technicians to come to your home and perform an evaluation for you and give you an estimate for the work that needs execution so you can have a clearer idea of what the costs of our service will be for you.